It has been a lot of emotions and repetition of what happened, so if you all don't mind I am going to post excerpts from my fundraising page updates for this blog post. 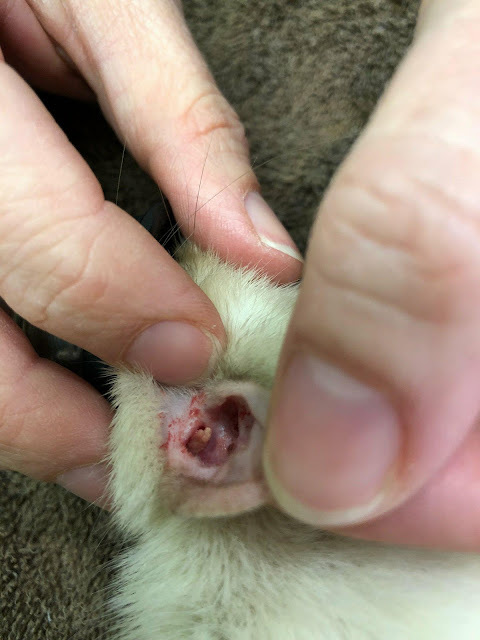 On 2/22/18, we took Jasper to the vet for a supposed ear infection, but after closer examination, the vet found a polyp. So Jasper received some gas and as much as the polyp was removed. This mass turned out to be bigger than expected. With such a small animal and with being in there so deep, things are not looking good. We will get biopsy results next week and if it is very bad we will be looking at hospice care. If it is benign, we might be looking at x-rays to see how deep it is and see if we can remove it to give him a more pain-free life. I can see the mass easier now. Not sure if it is making its way out or what. There is no way of knowing how deep it goes without an x-ray. The smell is pretty darn bad. A little fishy. Not good. Overall, Jasper is being Jasper except with a lot of head shaking. 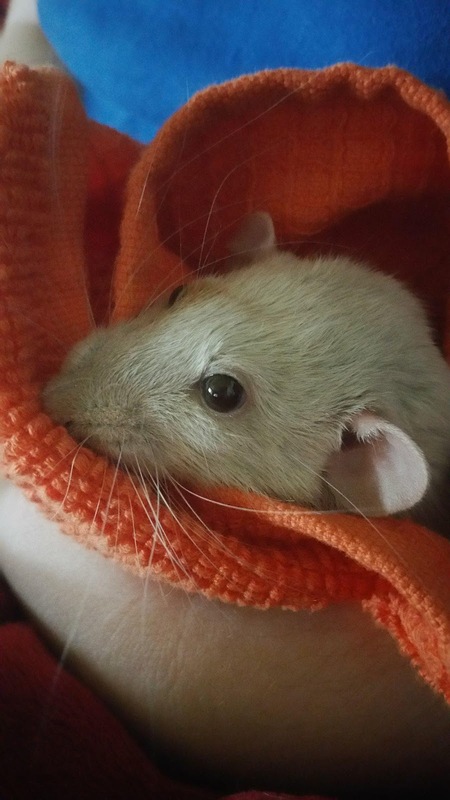 Rats tend to hide illness or pain so that makes it harder to gauge how he is feeling. I get the sense that he definitely isn't up to snuff like before. Age also has a part in this as 2 years old is becoming a senior and his birthday is in April. So there are a lot of factors and things to think about. Euthanasia is not on my mind unless he is absolutely miserable. Hospice care is probably the way to go, but we will see what the biopsy shows to see what we are dealing with. Jasper was more lazy than usual this morning and didn't want to get up to greet me. Even when I opened the cage he stayed curled up in one of the hides. Usually, he will greet me so I figured he was having some pain. It did get colder last night (I turned the heater on) so maybe it affected his ear. -shrug-. Either way, I gave him a dose of pain meds that we received from the doctor last Thursday. I had to go to my neurologist right after but called the vet on the way back to see if the biopsy results came in. Nothing came in but hopefully by the end of the week. I've been a worried mama. They asked how he was doing and wrote everything down. I really appreciate Animal Medical Center of Rome and how thorough they are. 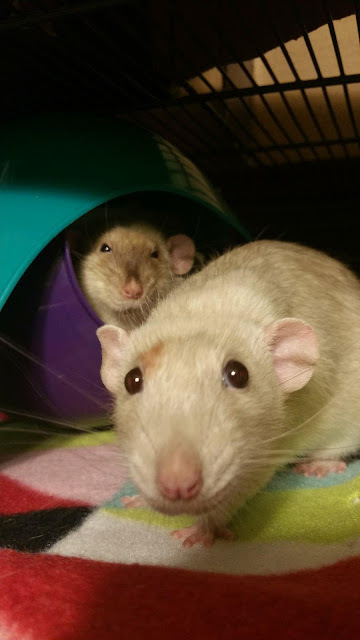 When I got home and opened the cage, both boys came to greet me. So I'm thinking the pain meds helped Jasper. I can't imagine what he is going through. 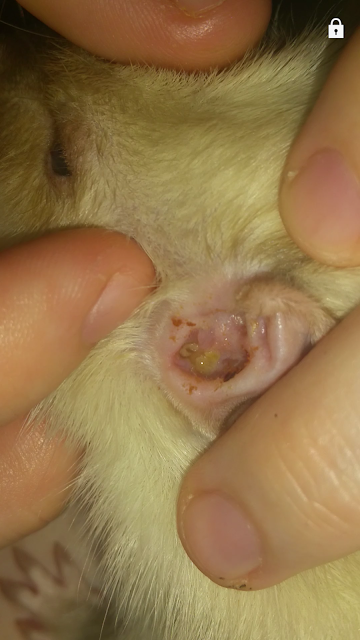 The mass clogs up his whole ear canal...and who knows how deep it goes! No matter the results, we are going to take it day by day. Jasper is getting worse. As soon as I woke up I checked on him and noticed his left eye (same side as the ear mass) was slightly blue. I checked his mouth and noticed his teeth were crooked. He has been chewing on his right side. My sister noticed that his left whiskers were not moving as well. I texted our vet and she called me back saying that they got the biopsy results back and they couldn't figure out what it was. We think that the mass has rapidly spread in a short amount of time and he may only have a week left with us. 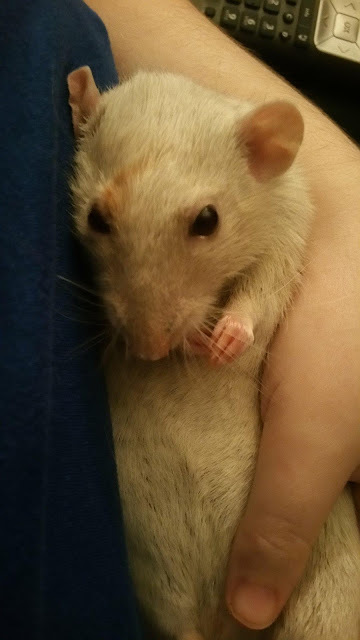 Until I deem that his quality of life is very poor (he is still eating and moving around), I will be giving him pain meds and CBD oil to help ease the pain. 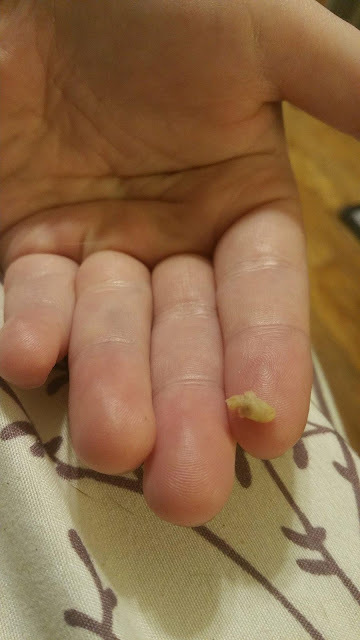 Was able to get this hunk of junk out of Jasper's ear. Wasn't attached and was being pushed out naturally. His ear canal is still stuffed. His left eye has gotten worse. He can still move it around, but he has no response and I can literally touch it. I'm pretty sure whatever we are dealing with has taken it over. Oliver seems depressed. Enjoying a cool evening with my baby boy. His left nostril isn't working today. Still eating and drinking. If anyone knows about the dripping oil bible, I put a drop of the oil (a type of mineral oil) it in his left ear and was able to get another chunk of the mass out. Oliver is depressed. I'm not sure what to do to comfort him, but he knows his brother is sick. I don't know how long I have with this sweet boy, but I'm cherishing every moment. Even though I'm having some major anxiety about Jasper passing during the night, I'm giving him some brother time. I've been hogging him the past couple of days and he has definitely declined. No more hard foods. Soft foods only, but still drinking okay. He gets very messy eating cause he can't see out of his left eye. I spent the night sleeping in our recliner with Jasper on my chest. He isn't active unless he smells food..then he acts like himself again. He is such a trooper. Oliver has fallen ill. I went to check on both of them and Oliver is really skinny, weak, and his teeth are crooked. He doesn't want to eat which is a very bad sign. I talked to my vet and she said that they both might have the same thing. It isn't odd for littermates to pass near the same time, but I was not ready for this. We have made it to Sunday. The boys are miserable and it breaks my heart. Jasper has more energy, but his breathing has become very bad. Oliver is extremely weak and barely hanging on. Tomorrow we will be going to the vet to help them cross over. 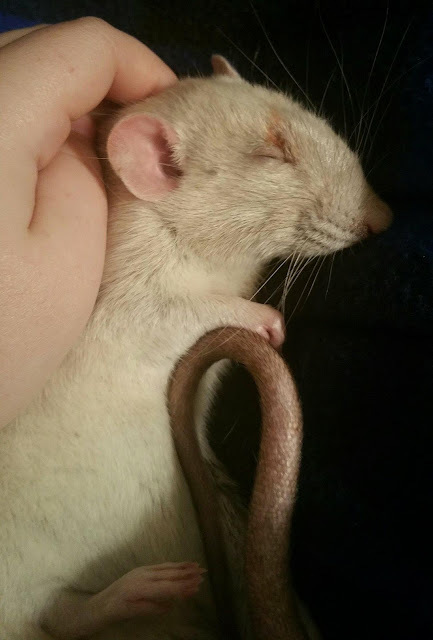 Oliver left us Monday morning right before I woke up to check on him. Jasper was sleeping with his head on Oliver's chest. We were going to go to the vet with Oliver to help him over, but we weren't needed. I had both of them on the bed that night and put them up at some point. At least we had a nice night to say goodbye. Jasper was helped over on Monday afternoon. We believe the mass was growing inward. It had already damaged the left side of his face and was causing havoc with his breathing. His future wasn't looking very good and we decided that enough is enough. He didn't deserve anymore suffering. These two were brothers, so it is no coincidence that they started feeling bad at the same time. They were almost 2 and there was no way they could have recovered. Many people are sad and I'm sorry. Jasper and Oliver made such an impact and I'm so proud of them. 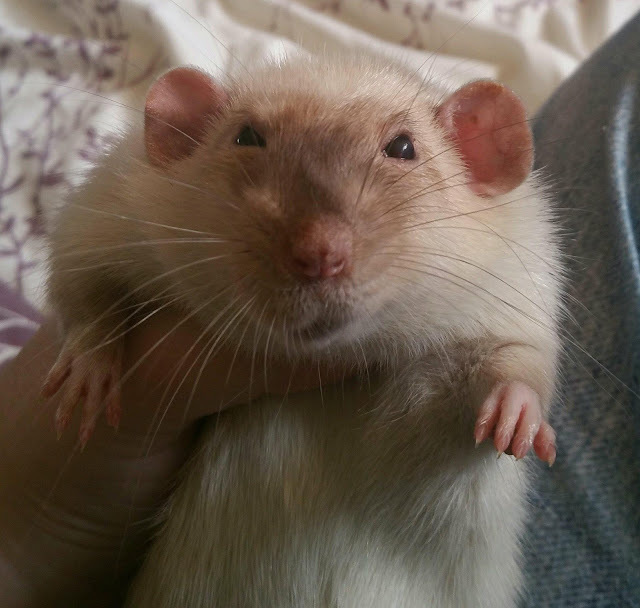 We set out to bring smiles with the power of rats and we succeeded. Oliver loved his career. College visits were his favorite. Maybe it was the excited squeals and outbursts when he was spotted or the gentle strokes on the head that he received. Thank you all for your kind messages. If you have some memories or photos you would like to share I'd love to see. What is your favorite Jasper or Oliver moment? It was so tough to watch your journey at the end, and I know how you feel. I faced a similar situation with my Sammie (guinea pig). I did everything I could for him but in the end there was just nothing more I could do. He passed away peacefully in the night when I prayed - "God, please do what's going to be best for Sammie." He died shortly after. It's traumatizing. Sending you so much love. So sorry for your loss of your beloved Oliver and Jasper. I understand your heartbreak. Thanks for sharing such a personal post. I know it's heart wrenching to know they are dying but having them out of pain is the number one concern. You did the right thing. Sending hugs. 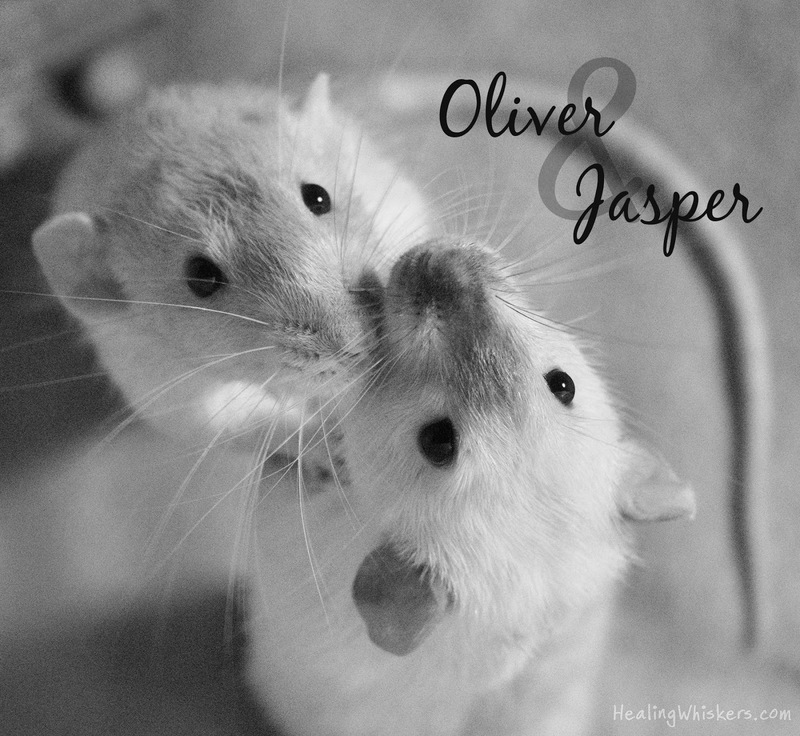 I am SO sorry about Oliver and Jasper. It's heartbreaking to see them both get so ill so close together. I'm sending you lots of healing purrs. I know Oliver will be sorely missed by those whose lives he brightened. Tears fall when Mom & I read this. 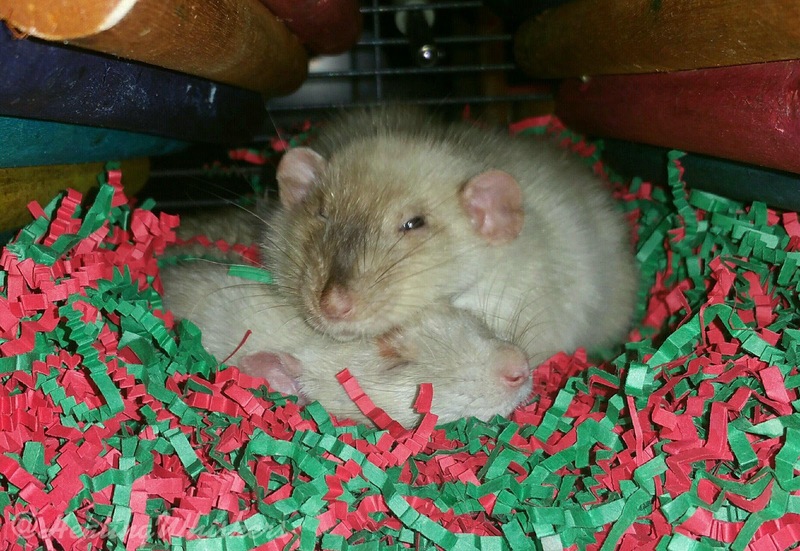 We are sad to learn that Oliver and Jasper were real sick and went OTRB. Mom is so thankful for having the opportunity to meet you and Oliver in person at the BlogPaws conference. Kisses for Oliver and Jasper. 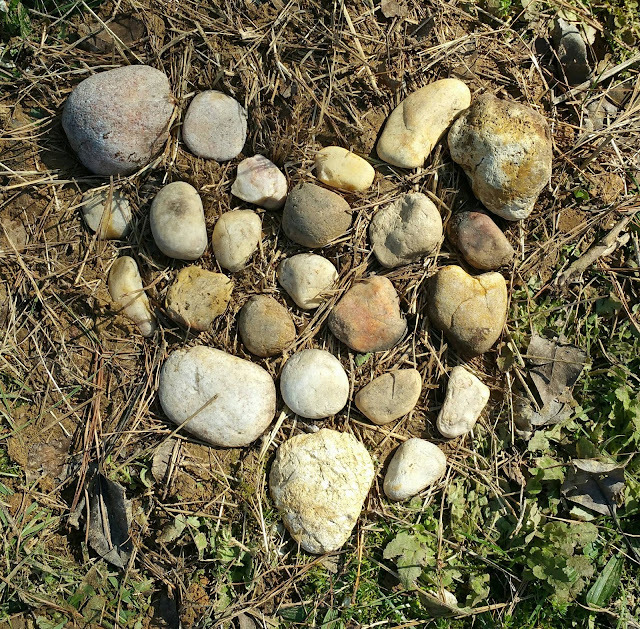 know they'll continue to spread love all over the world from the clouds and will always watchover you - their momma. Thinking of you and sending you hugs. So very sorry for your loss. I have only just discovered your blog, but your two boys sound like they were the sweetest little souls.